It is important to realise that there is no one set of legislation which governs property transactions throughout Australia. Each state can have its own legislation, governing real-estate agents, contracts, builders responsibilities, stamp-duties etc. However, there are similarities and the following information is generally correct. In the main, the government departments are very responsible and helpful. A suggestion would be that for specific information you should Google the relevant government department, real estate institute or other body. Naturally start off with ‘Australia’ and the relevant state. By adding in ‘real estate agents’, ‘legislation’, etc. you should be able to learn a great deal. In Australia there is relatively little ‘lease-hold’ property. Almost all will be ‘Torrens Title’ which transfers complete ownership of the property to the purchaser. Thus what you consider to be yours does not transfer back to another party after 50 years or so. Of course, whilst there is a mortgage over the property, the ownership papers will be held by the bank or other finance provider. But once you have paid for the property in full it does become yours. However, the government reserves the right to various mineral deposits etc. found on or under the property thus your farm land could wind up as a coal mine. Purchasing property is normally referred to as conveyancing and covers the purchase both of vacant land, land with improvements (i.e. house or building on land) and also space within a building or complex (i.e. a building unit (flat) or town house). In Queensland there are two different types of contract – one covering both land, and also land with improvement, and the other contract which covers building units, townhouses etc.. Some states, however, have only the one contract covering all matters. Most real estate agents are covered by the Real Estate Institute of their state and are reputable. Their duty is to the vendor with whom they are contracted – they are not duty bound to act in the best interest of the buyer. Listen to what they say, but use your own judgement. A school which is ‘going to be built shortly to service a new subdivision’ may not actually appear until your children have their own children. 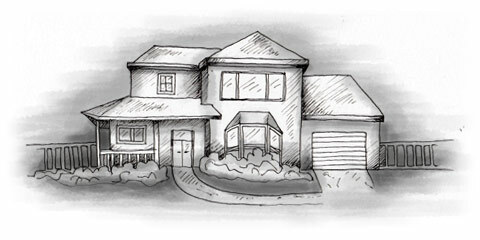 Property conveyancing in Australia is usually carried out by a solicitor. In some states there are also registered conveyancers. However, more and more people are now carrying out their own legal work including conveyancing. The process of conveyancing is actually straight forward in most cases provided that you are prepared to take care, but you do need a good kit which is current to the regulations of the chosen state. Follow it closely and do not cut corners. Banks and finance houses are unlikely to object that doing your own conveyancing is putting their loan in jeopardy. Some developers may offer to subsidise your legal fees as an inducement to your purchasing their properties. It is illegal for the one solicitor to handle both sides of the deal and it could be unwise to accept their offer. If you choose to go with a solicitor request a firm quotation covering all costs, outlays and disbursements. Sometimes these add-ons are higher than the base figure. Solicitors advertise online. Choose one in the state where the property is. Select a small firm because the larger the firm probably the higher the charge. DIY kits are also advertised online and some of them are specialists in the field but some of the advertisers are actually solicitors seeking to make contact. With so many different states and legislation it is wise to select from the state where the property lies – they are more likely to be up-to-date with the legislation.